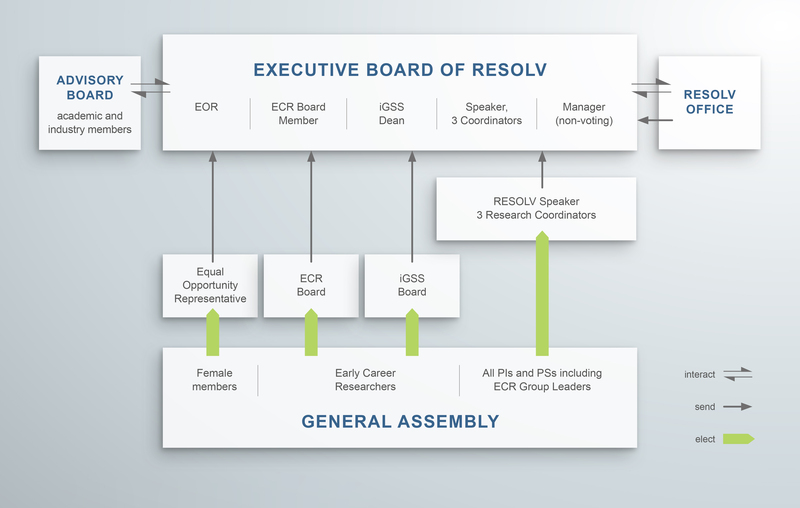 The Executive Board is the main administrative decision panel of RESOLV. The Speaker represents RESOLV externally and at the participating institutions. The Advisory Board counsels the Executive Board and reframes the cluster activities in the context of industry and worldwide academia. The RESOLV office supports the Executive Board and is responsible for the financial management, the organization of events, as well as the press and public outreach activities of the cluster.